I found these Pinterest a few weeks ago. I have always loved potatoes and am always looking for new ways to cook them. 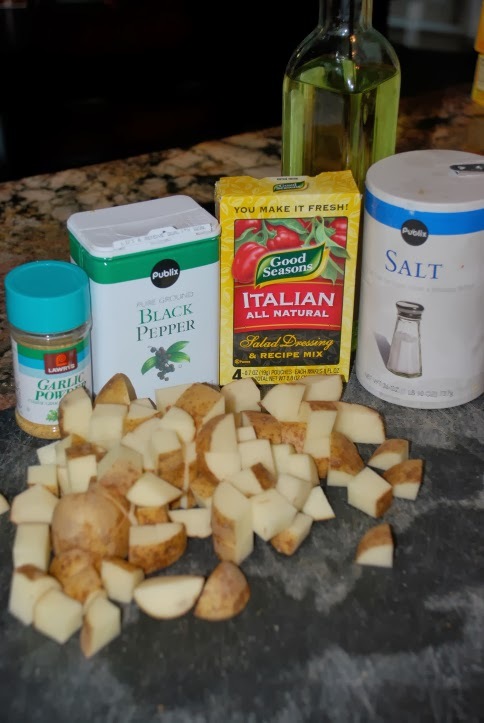 I grew up with my mom making what we called �Little Potatoes.� These are the best pan fried little potatoes ever! I still make them today on a regular basis and dip them in ketchup. When I saw these potatoes, I was very excited about making these. Here is the picture below that inspired me to make my own potatoes! 1) You can use red or yukon potatoes. 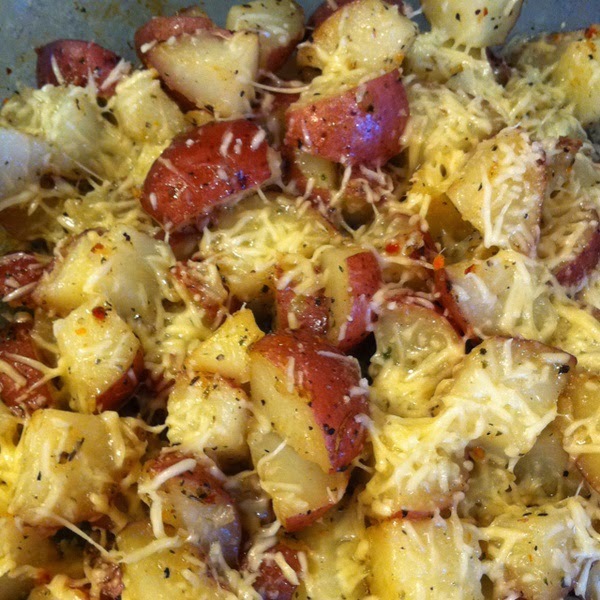 The original recipe called for red potatoes, but I didn�t have any in my pantry, so I used yukon potatoes. Cute them up into cubes, leaving the skins on the potato. 2) Spray a light film of cooking spray on a foiled cooking sheet. 3) Add the potatoes to a mixing bowl. 3) Good Seasons Italian dressing is one of my favorite dressings to use for salads. It is also a great seasoning for different meats as well- I dunno how I never thought to use it on potatoes! I used half a packet of the dry dressing. I sprinkled half of that portion onto the potatoes before cooking them and saved the other portion for afterwards. In addition to the dressing, add the salt, pepper, and garlic powder at this time as well to the mixing bowl. 4) Drizzle the olive oil on top of the potatoes. 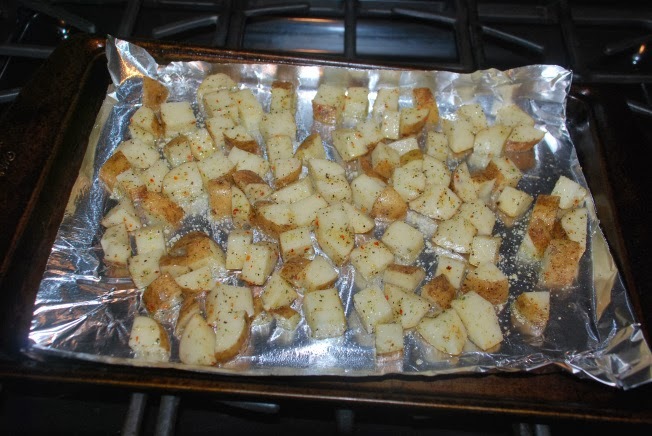 Make sure they are coated on the potatoes along with the seasonings. 5) Place the potatoes onto the cooking sheet. 6) Cook in the oven for 45 minutes at 400 degrees or until potatoes are tender with crispy sides- I even took them out almost half way through and tossed them around to get the other sides of the potato crisp. This makes them more evenly cooked. 7) Add the remainder of the dry dressing mix as well as the parmesan cheese to the potatoes.